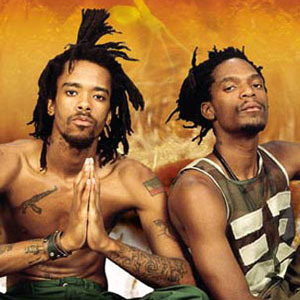 Dead Prez is a hip hop duo from the United States, composing of stickman and M-1, formed in 1996 in New York, New York. They are known for their confrontational style, combines with socialist lyrics focused on both militant social justice and Pan-Africanism. The duo maintains an ethical stance against corporate control over the media, especially hip hop record labels. This 2006 release was that summer’s highly anticipated street collaboration of political rap duo, Dead Prez and Tupac’s super group, The Outlawz. The LP, Can’t Sell Dope Forever, opens up a motivational dialogue, urging the streets to strive towards Unity, Power and Progression. Can’t Sell Dope Forever features a rare and emotional collaborative effort of musical brotherhood and political unity of two of “AMERIKKA’S MOST WANTED”. The new record boasts a roster of guests including Layzie Bone and Messy Marv, in addition to new talents like Stormey and Malachi. The set even includes a cameo from stickman’s mother, Nora, on the track “Believe,” considered to be one of the album’s hottest. The title of the album was inspired by a streetwise clothing company in Atlanta, GA called MISEDUCATED SOCIETY. Their popular “Can’t Sell Dope Forever” tee is a staple in southern hoods, echoing the sentiment of change without preaching down to the intended audience Outlawz and Dead Prez. insist that there are ways to empower yourself beyond selling dope and glorifying the flash of the drug game. They felt there are to many artists being irresponsible about the street life and moved pro-actively to offer more balance tot he game.